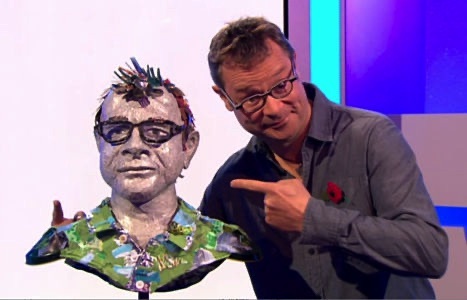 This bust of Hugh Fearnley Whittingstall was created for The One Show on BBC1, for an episode featuring the chef's new series War on Waste. 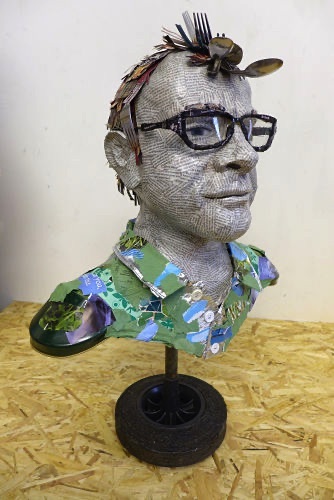 It was created using food-related waste materials including egg-boxes, cooking magazines and cutlery, and has the wheel of a wheelie bin as its base. Dimensions 63 x 46 x 25cm.